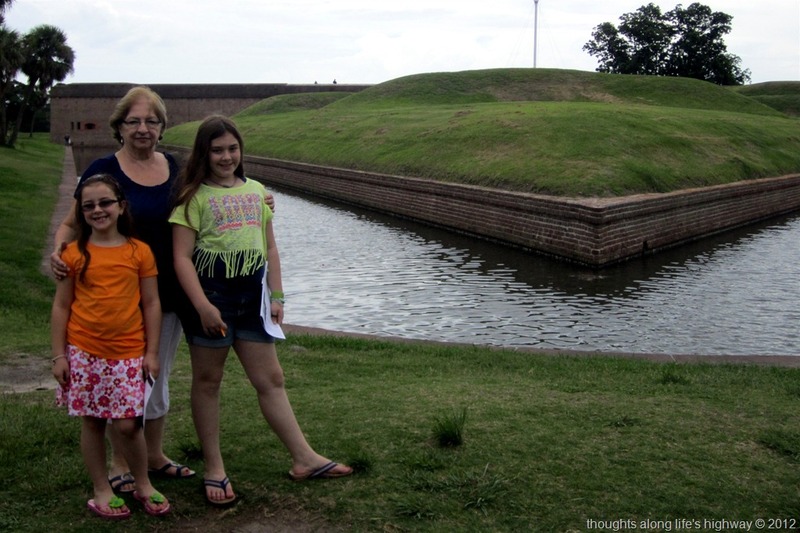 — at the moat before we went into the fort. I was sending pictures to my brother all along the tour. 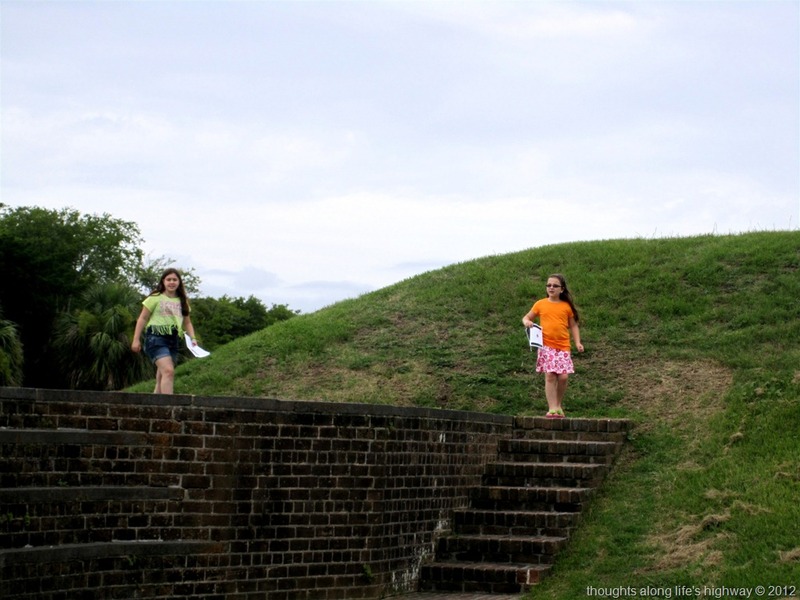 He texted back and asked if the girls had run through the tunnels, replying “It’s mandatory when you are there.” That was one of our favorite things to do when Mom would take us to the fort as kids. 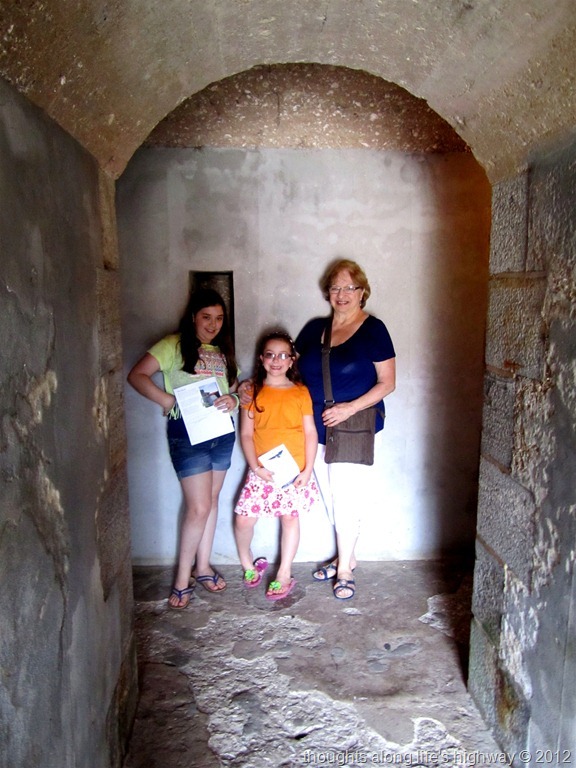 The girls followed the tradition, exploring every nook and cranny. — what can you see? the lighthouse? — yes, I got in a few of the pictures! 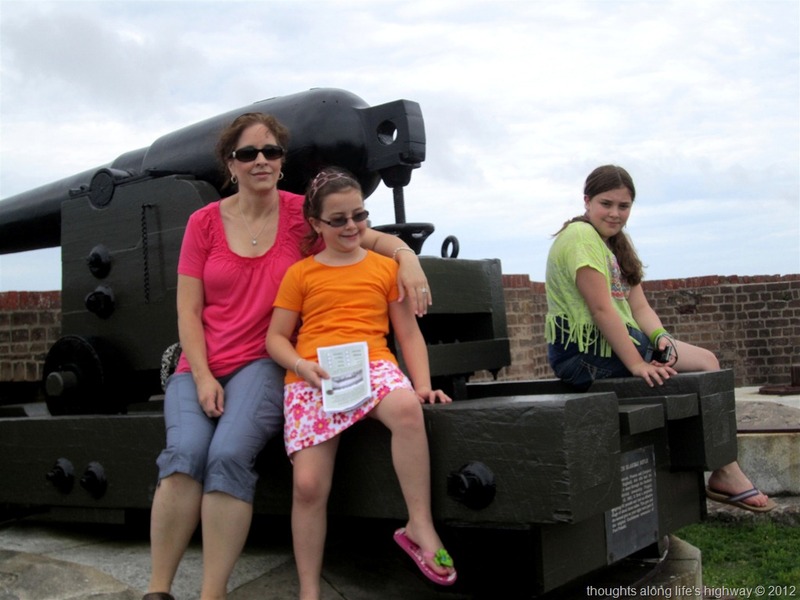 We watched the cannon firings – which I totally loved and I think the kids were okay with – not too crazy about the noise. 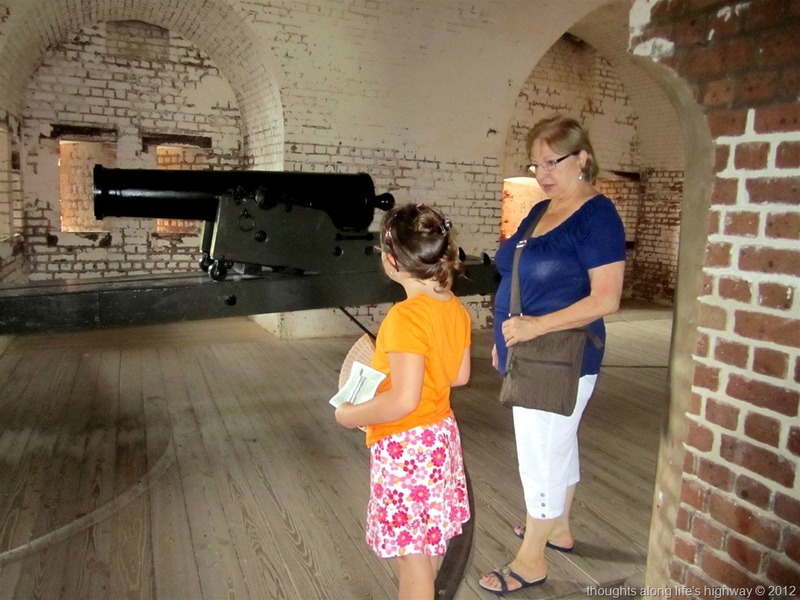 It was quite impressive to imagine 35 cannons firing simultaneously in the heat of battle. And that was just the Union cannons. 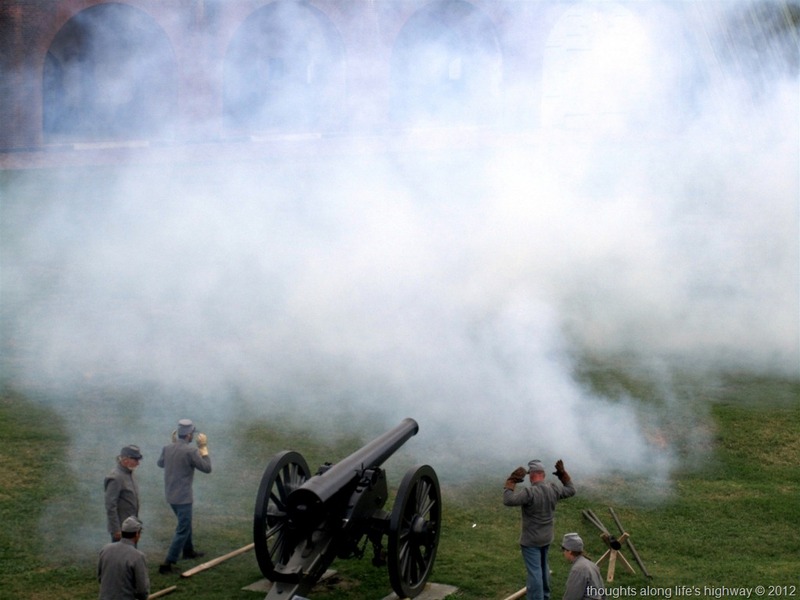 The Confederates had their own, firing at the same time. I couldn’t get over the thought of the noise, the chaos, and the heat/smoke/fires/damage. War is a messy, messy thing. 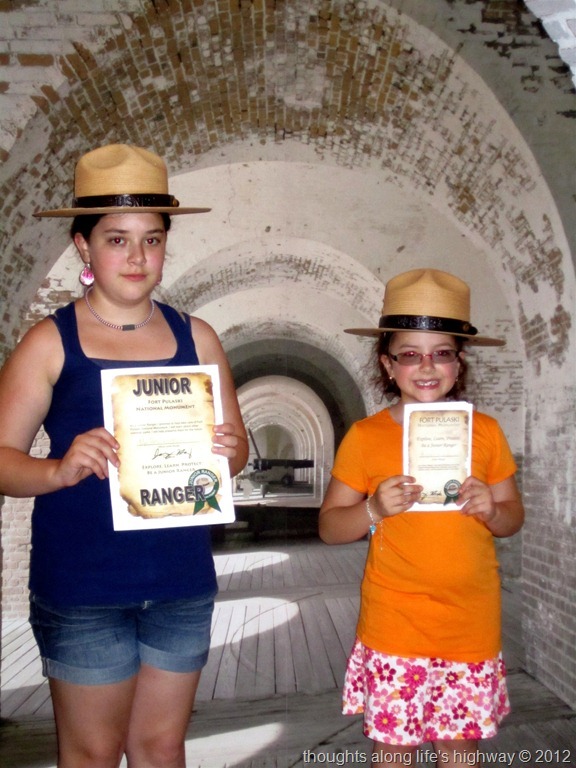 The girls had workbooks they picked up at the visitor’s center and once they completed them they had the opportunity to be signed in as “Junior Park Rangers.” They were pretty excited about the prospect and I thought the workbooks were a great idea to get them to look beyond the obvious and really SEE the fort, it’s history, and the stories behind the structures. I thought the park service did a great job with the books. They were age-appropriate (5-8 yr and 9-12 yr) and the girls enjoyed them, for the most part. Not sure if other National Parks have these, but if they do, I’d recommend that you check them out. It was a great day and we had a marvelous time. I think my favorite part was watching the girls experience for the first time something that I loved so much as a child. 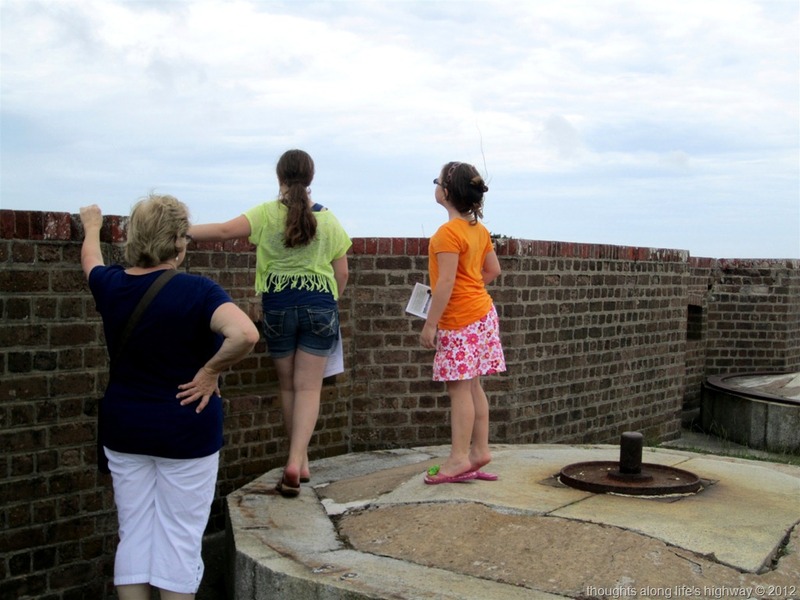 It’s neat seeing those memories reawaken and go full circle with your kids.